I just returned from a week in Asia, visiting some potential new suppliers, meeting with some dealers, and reviewing our Asian sales strategy. Asia in an exciting place of course, and it's exciting to see Hussey Seating product installed in so many parts of Asia, and to experience many satisfied customers. 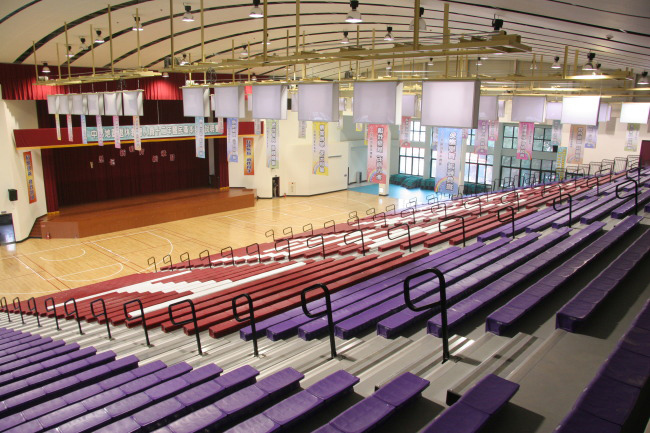 One project I saw was a 30-row Maxam just recently installed, as big as we make them, in a large multipurpose facility of a high school in Taiwan, with a huge Chinese-character logo. Cool! Hussey has a worldwide reputation for quality and expertise in seating, and I look forward to seeing more Hussey seats in Asia in the future.